Posting before 10:30 at night – a novel concept! LOL. 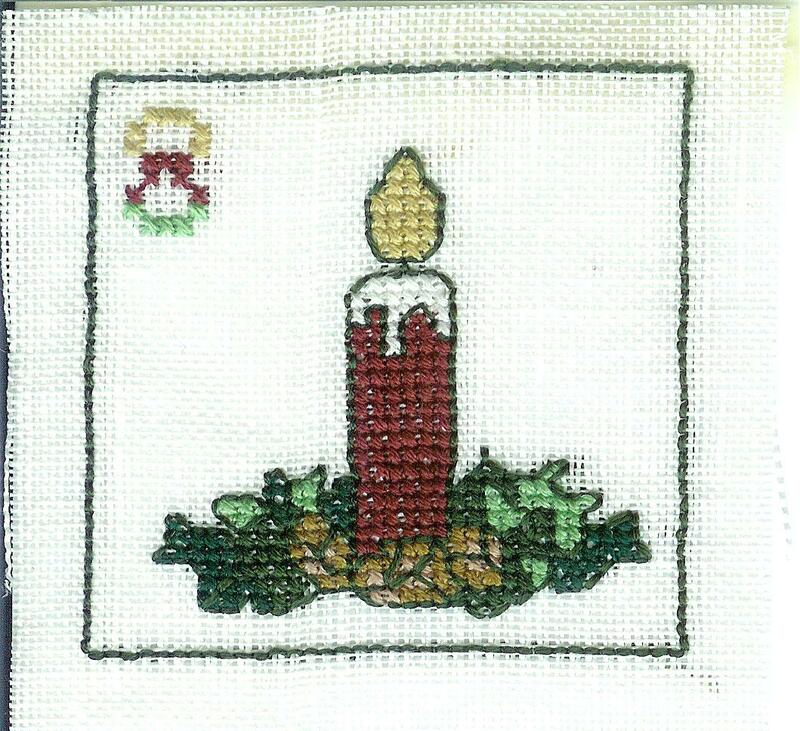 Here’s day 8, a candle with greenery, and I think pinecones. It occurs to me, I’m 1/3 done with the stitching on this advent calendar! Yay me! Hopping in on your advent calendar a tad late. How are you planning on finishing? Or do we have to wait for the big reveal?